Atria/Emily Bestler Books, 9781451664669, 304pp. From the author of Stalking Susan comes the latest installment in the “compulsively readable” (WCCO-TV) bestselling Riley Spartz thriller series, featuring a smart, sassy, and always entertaining TV reporter as she matches wits with a media-savvy killer. Be careful what you open . . . The most appealing mystery heroine since Janet Evanovich’s Stephanie Plum, TV reporter Riley Spartz is a star investigative journalist for Channel 3 —and no stranger to the seedier side of her hometown. But when she receives a package of human teeth in the mail at work, she’s quickly embroiled in a homicide investigation that spirals into one of the odder cases the Minneapolis police force has ever seen. Though the cops try to keep certain grisly details quiet, this murder has a strange twist—it seems that the killer wants the crime publicized. 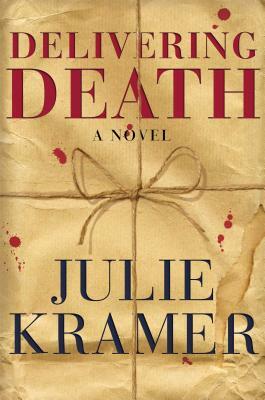 An irresistible suspense novel that will keep readers turning pages until the stunning conclusion, Delivering Death brings the humor, intrigue, and twists and turns that Kramer’s fans love.